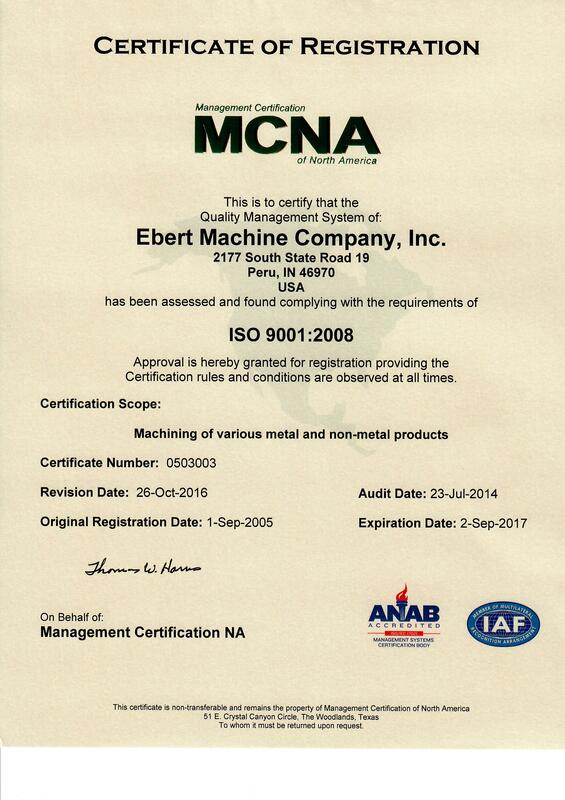 At Ebert Machine Company, Inc., we pride ourselves in producing high quality parts to meet or exceed customer expectations. This is maintained through an experienced workforce, attention to detail and our excellent quality management system. Our ISO 9001:2008 certificate can be viewed here. We can provide PPAP documentation upon request. We develop strategic partnerships with customers, that contribute to mutual success. We can provide references, so you can hear directly about our outstanding quality.